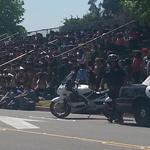 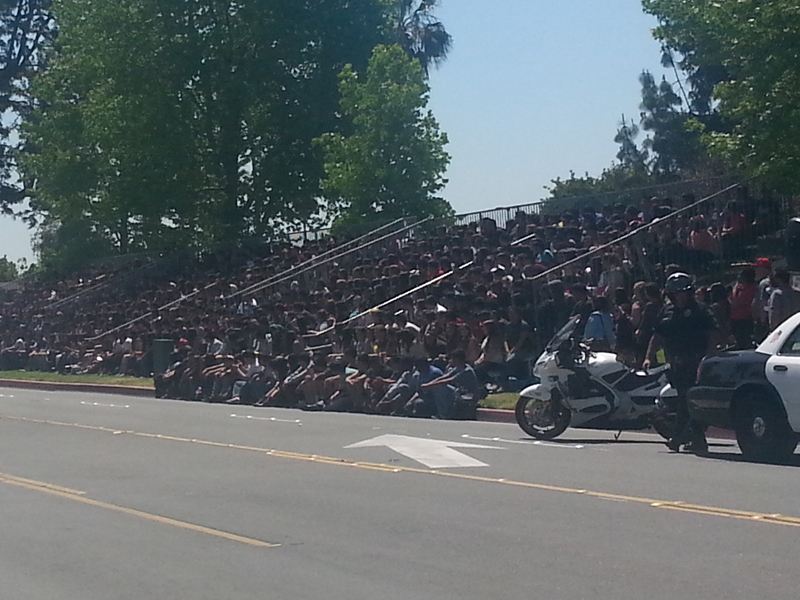 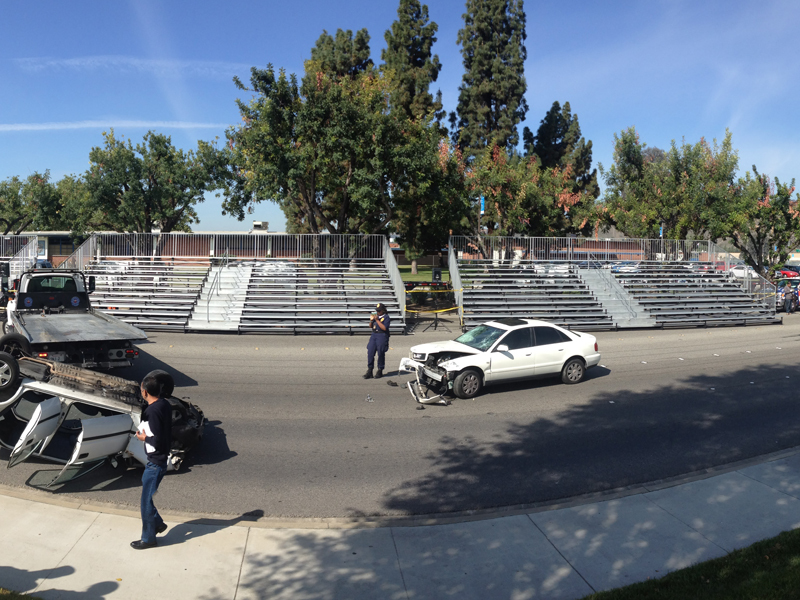 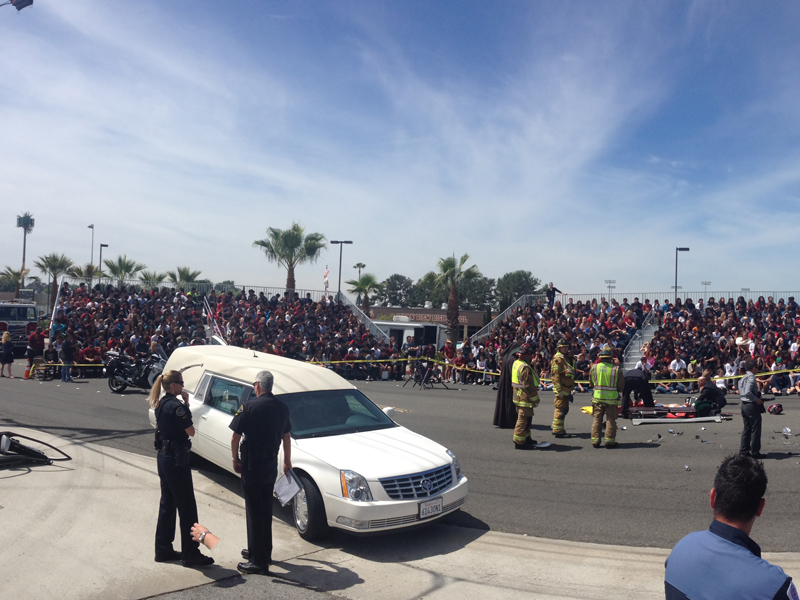 Bleachers for "Every 15 Minutes". 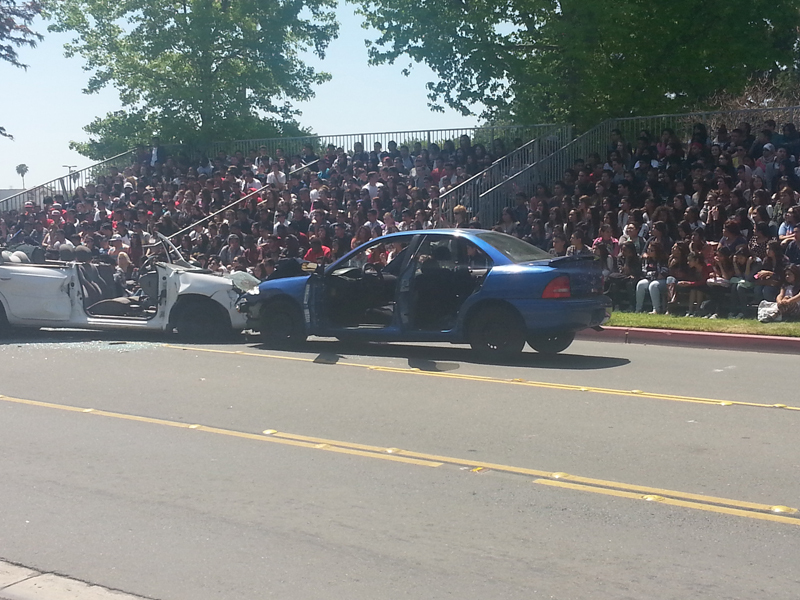 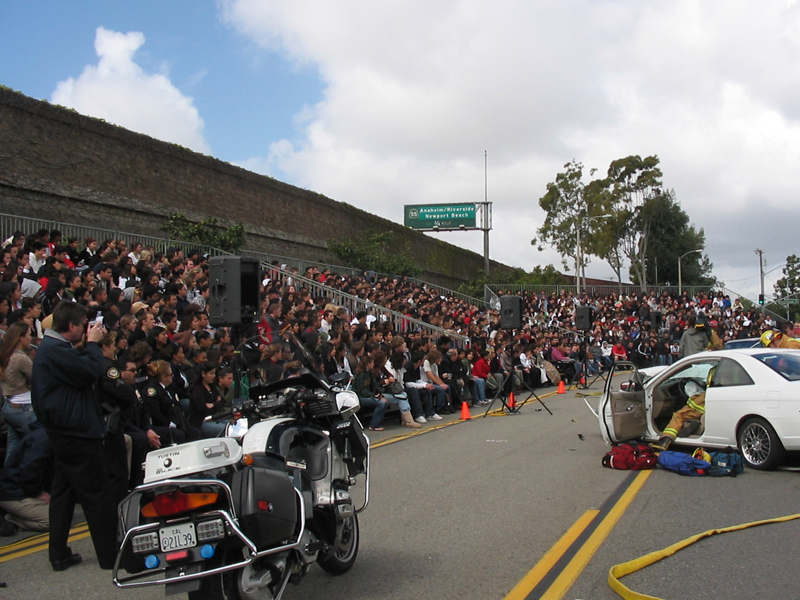 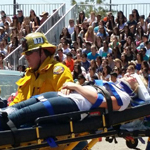 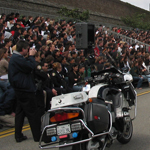 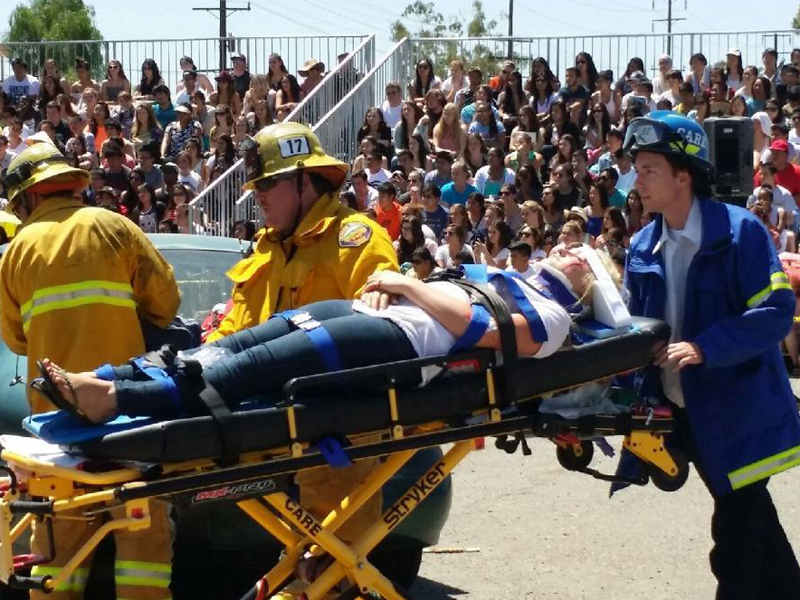 The "Every 15 Minutes" program is held at schools throughout the country. 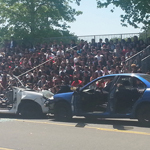 It is designed to demonstrate to children and young adults, in dramatic fashion, the potential fatal consequences of driving while impaired or distracted. 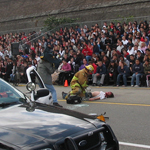 A re-enactment of a traffic accident, and it's aftermath, is typically part of the demonstration. 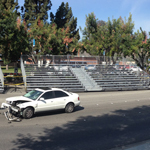 Mobile Bleachers installed in the street or an adjacent lot can help provide students with a uninterrupted view of the scene. 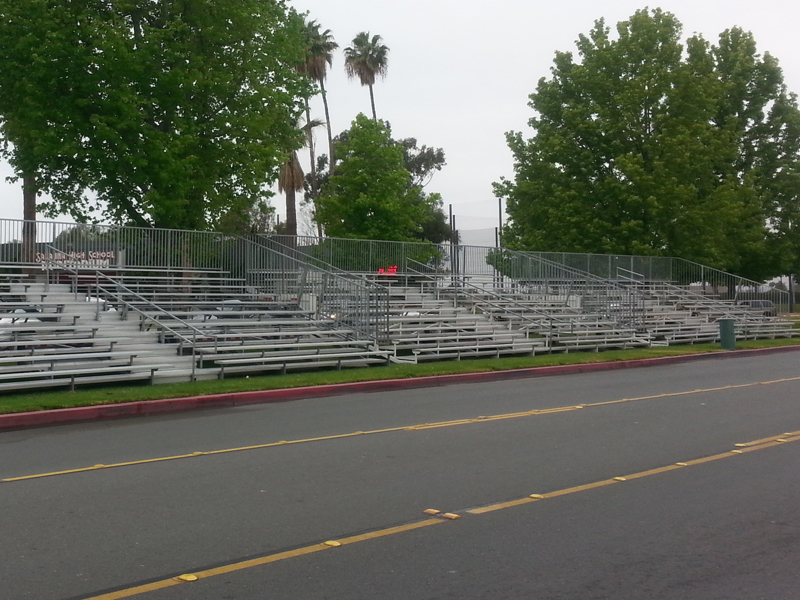 We have provided bleachers to numerous schools in the past 5 years. 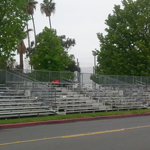 Using Mobile Bleachers we can install seating the morning of the demonstration - minimizing any potential disruption. 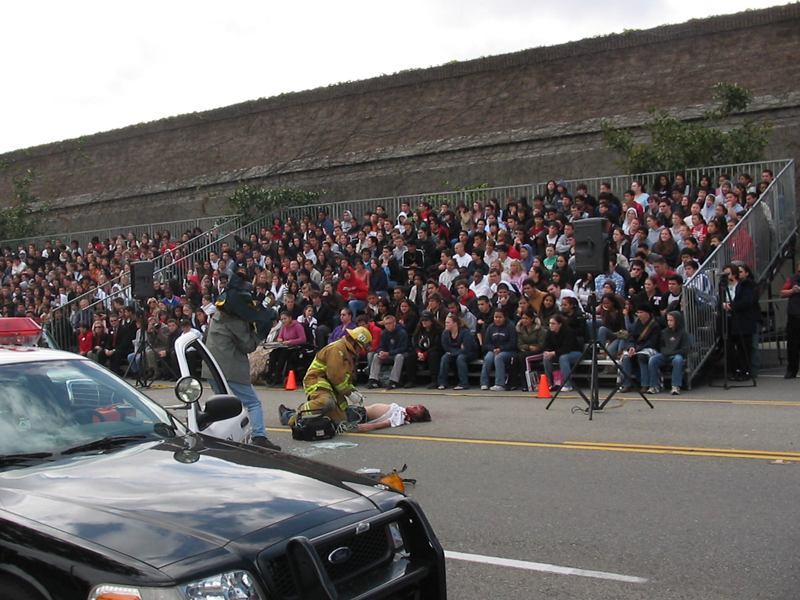 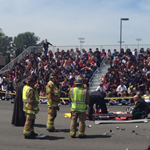 We are pleased to be able to offer discounted pricing for "Every 15 Minutes" demonstrations.